Foundation stone records: To the Glory of God - This stone was laid by - Rev R H Campbell - President of the Conference - on - 10th August 1938. Foundation stone of an earlier church records: This stone was laid by - Mr Joseph Lawrence Baker - 11th July AD 1871 - Re-Set by Mrs J K Tyrer - Daughter of J L Baker - 10th August 1938. 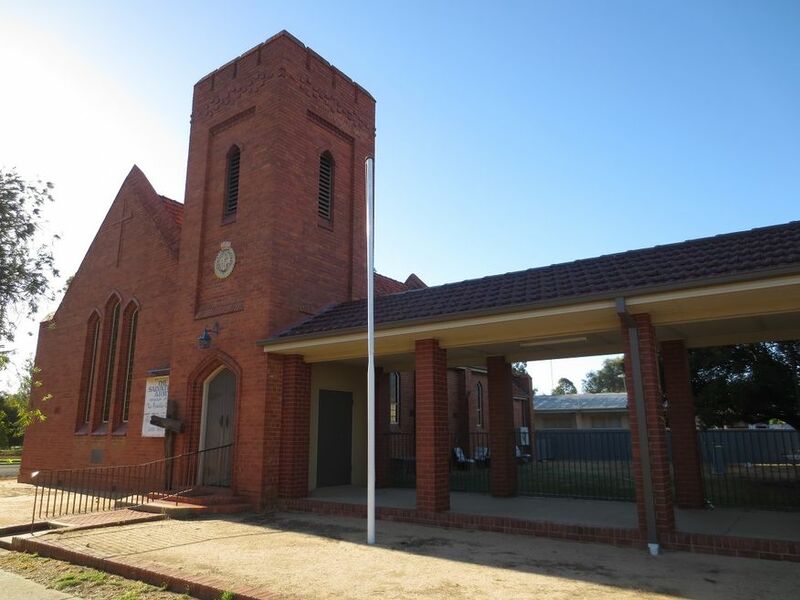 A foundation stone on the hall records: To the Glory of God - This stone was laid by - Miss G S Baker - Daughter of the Founder - of Methodism in Deniliquin - Aug 10th 1957. 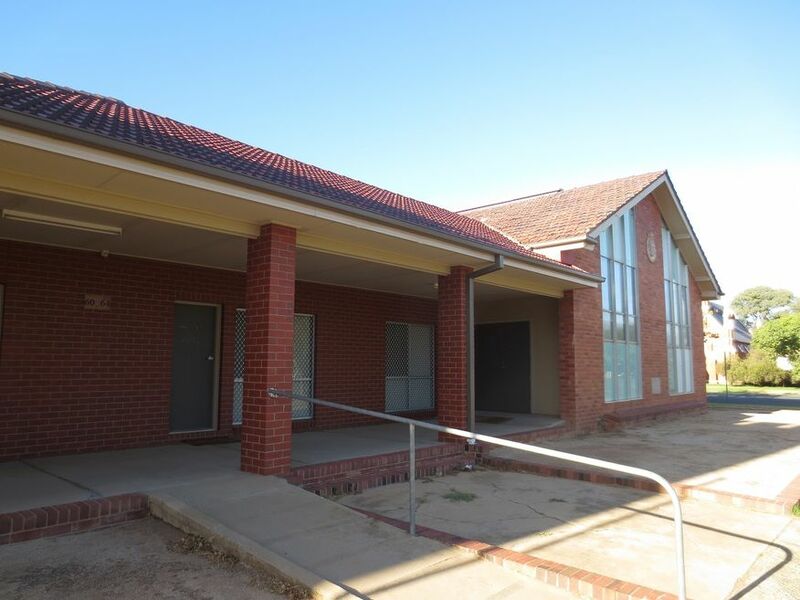 No other details are known about the former Deniliquin Methodist Church or The Salvation Army, Deniliquin Citadel. 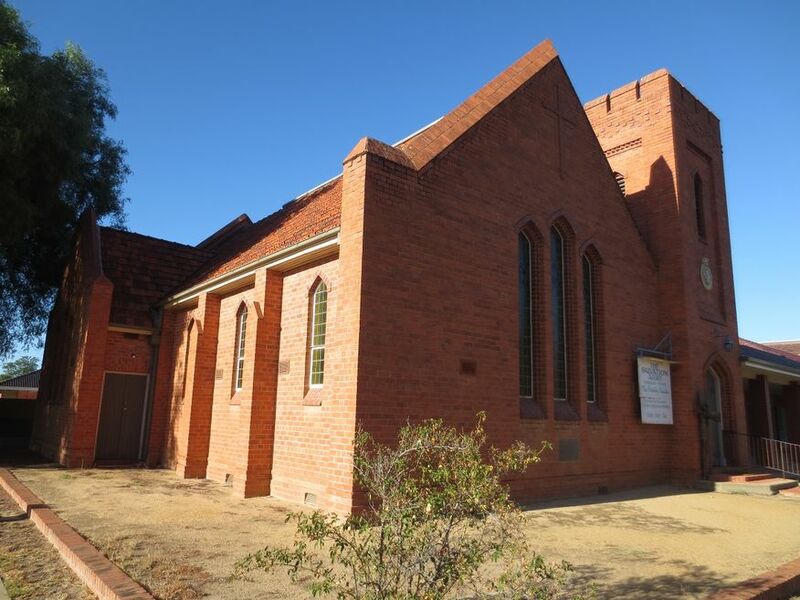 More historical information/photographs of the former Methodist Church/congregation and the current Salvation Army Church/congregation are invited. Photographs uploaded 24/4/2018.